In a way, Ant-Man is probably Marvel’s biggest risk so far. You might think that Guardians of the Galaxy, involving a talking raccoon and a walking tree, might be. But Guardians had a cast of characters that even non-fans could look at and say to themselves “Damn, that’s cool.” Ant-Man suffered from mediocre trailers, some behind-the-scenes drama when they lost original director Edgar Wright, and the tough challenge of making a hero like this attractive to the masses. 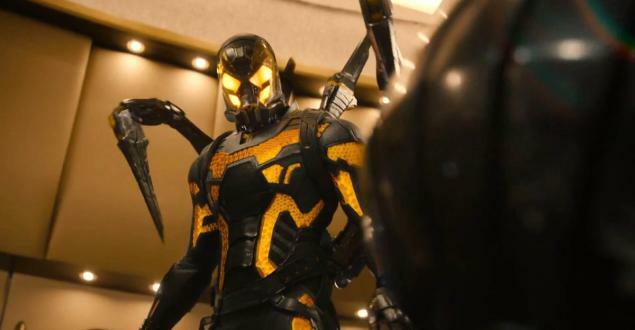 After we’ve seen the Avengers defeat Ultron, how could a guy who shrinks down to insect-size get people into the theater? We meet Scott Lang (Paul Rudd) on the day he leaves prison and tries to rebuild his old life. He’s a burglar and hacker who has a hard time getting a normal job, so eventually he gets roped back into thieving with his friend Luis (Michael Pena) and new accomplices Kurt (David Dastmalchian) and Dave (Tip “T.I.” Harris). 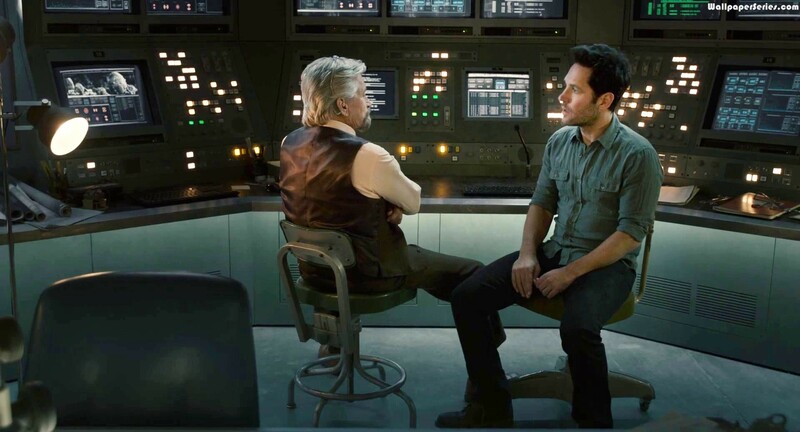 Their first heist back sets them on a collision course with genius inventor Hank Pym (Michael Douglas). It turns out Pym was a member of S.H.I.E.L.D. and invented something called the Pym Particle, which is a formula that can shrink someone down yet retain their original strength. Now that Pym is older, his company has been turned over to his former mentee Darren Cross (Corey Stoll) who wants to use this technology and weaponize it. So Pym trains Lang to use this “Ant-Man” suit to go and attempt to steal back his technology before it’s used for evil. Also in this adventure we meet Pym’s daughter Hope (Evangeline Lilly), who helps to train and prepare Lang for what’s to come. This movie isn’t your typical superhero film in the traditional sense. It’s primarily a comedy and a heist movie. The comedy is really due to Paul Rudd and (surprisingly) Michael Pena. The movie is laugh-out-loud funny most of the time. Yet the heist components keep the action going in really interesting ways. Speaking of action, you might want to know if the special effects work in this movie. And yes, they look fantastic. They use a technique called macrophotography, where they actually shot sequences of actual places and things and then superimposed Ant-Man into them. So when he’s running in a bathtub, they actually shot a real bathtub. It looked great and the actual shrinking/growing dynamics were fantastic. It’s a whole new way to fight, that we haven’t seen, so it was refreshing. Rudd as the lead was a great choice. 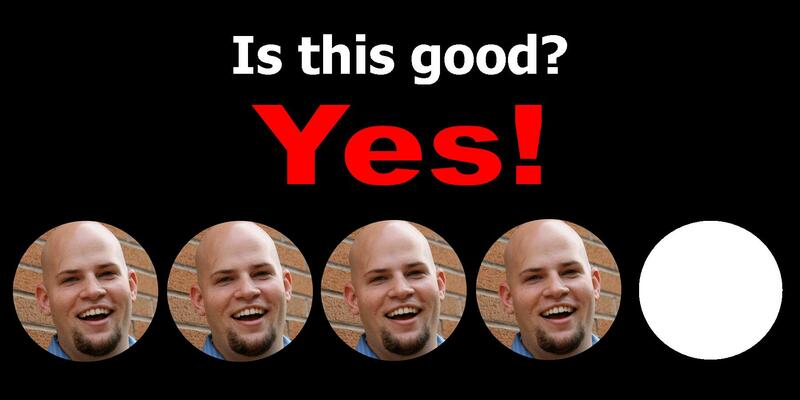 He’s instantly likeable yet believable. They do a great job setting up why he’s so good at breaking in and how he knows all these tricks, yet they also do a great job with how he reacts to this ridiculous new ability he has (and the superhero world he now lives in). I can’t wait to see him alongside the Avengers in Captain America: Civil War. Speaking of that, this movie ties into the “Marvel Cinematic Universe” in a few different ways, including flashbacks of Pym as a younger man, and it all works. There’s a few cameos I won’t spoil but there’s some great connections. There’s also two scenes during and after the credits, so stay until the lights come up. You don’t need to see any prior Marvel movies to understand the film, but you may need to see Captain America: The Winter Soldier to understand the post-credits scene, which left some of the audience confused. Lastly, both Michael Douglas and Evangeline Lilly provided some heart into the movie that I wasn’t expecting. Their backstory is incredible and the scenes between the two of them are some of the best acting in the Marvel Cinematic Universe so far. This isn’t a perfect movie, nor is it probably in my top 5 Marvel films. My first issue was the pacing. The first 30 minutes or so were a little jarring and confused in tone. There’s a lot of exposition here to deliver but it did it in a clunky way. Once the action really kicks in, the movie gets better, but it starts a little odd. Again, Marvel struggled to deliver a compelling villain. There was nothing wrong with Corey Stoll as Darren Cross (aka “The Yellowjacket”) but the writing didn’t really flesh him out. He comes across as this immature kid who never grew up and just wants his daddy to be proud of him. But for some reason, this motivates him to use this technology to kill people and he tries to sell it to the highest bidder and just generally acts much more nefarious than his motivations would indeed make him. Especially in the climax, you’re left wondering why he is doing all this. I liked Ant-Man. It was full of laughs and innovative action sequences, luckily with great visual effects. Paul Rudd is a great addition to the Marvel Cinematic Universe and I can’t wait to see him alongside the Avengers. Michael Douglas and Evangeline Lilly do some fantastic work together and Michael Pena switches gears to provide the comedic relief here. The movie is a little slow to start and the villain isn’t really fleshed out, but if you can stick with the movie and excuse the villain’s motivations, you’ll likely have a fun time at the movies. This entry was posted in Movies and tagged adam ryen daniels, ant-man, anthony mackie, antman, corey stoll, darren cross, david dastmalchian, evangeline lilly, falcon, hank pym, i am your target demographic, iaytd, marvel, marvel cinematic universe, mcu, michael douglas, michael pena, movie review, movie reviews, movies, paul rudd, scott lang, the wasp, TI, yellowjacket. Bookmark the permalink.